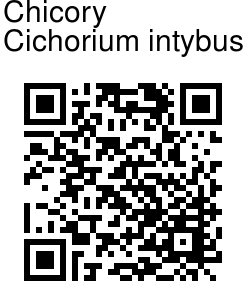 Chicory is a bushy perennial herb with blue or lavender flowers. It is a bushy perennial plant that attains a height of 1 to 4 feet. The stem has edges having hard branches. Flowers occur either solitary on nearly leafless branches, or in clusters in leaf axils. Flower-heads are 2.5-4 cm across, with spreading ray-florets. The green bracts below the flowers are prominent. The outer lancelike bracts are spreading outwards, while the longer inner ones are upright. Leaves are oblong-lancelike, and lower leaves are pinnately lobed. The upper leaves are entire, bract-like, stem-clasping. Root is like a tail of a cow and is fleshy having brownish color from outside and white color from inside. It has a length of 2 ½ feet and has a bitter taste. Chicory is grown for its leaves, or for the roots, which are baked, ground, and used as a coffee substitute in instant coffee. 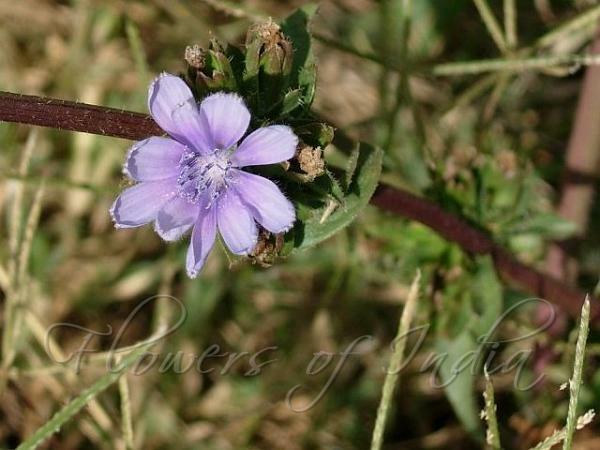 In India Chicory is found in the northwestern regions like Kashmir and Punjab and in areas of south India. Medicinal uses: The ancient Egyptians ate large amounts of chicory because it was believed that the plant could purify the blood and liver, while others have relied on the herb for its power to cure "passions of the heart." Chicory continues to be a popular herbal remedy due to its healing effects on several ailments.